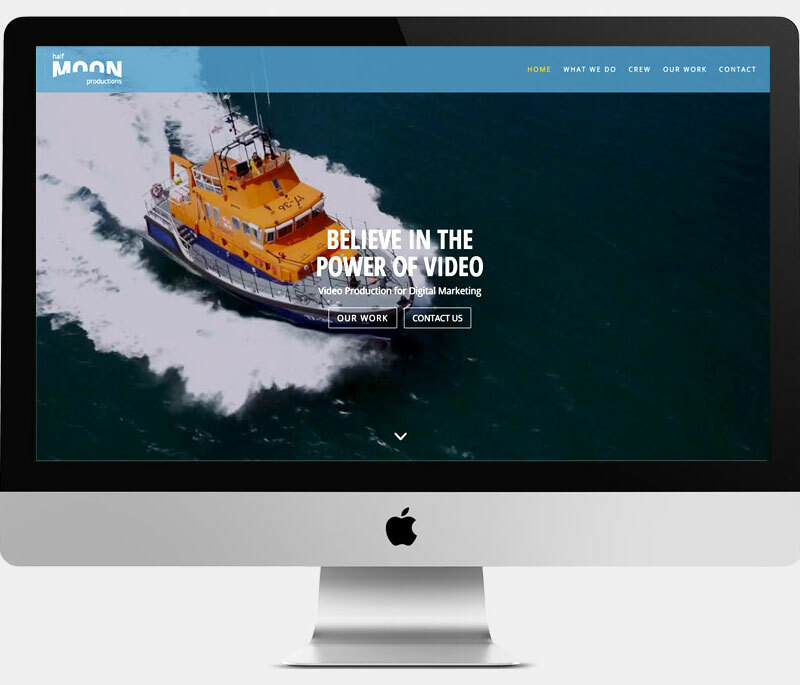 Half Moon is a video production company based in Devon in the West Country working with businesses, agencies and brands nationwide. 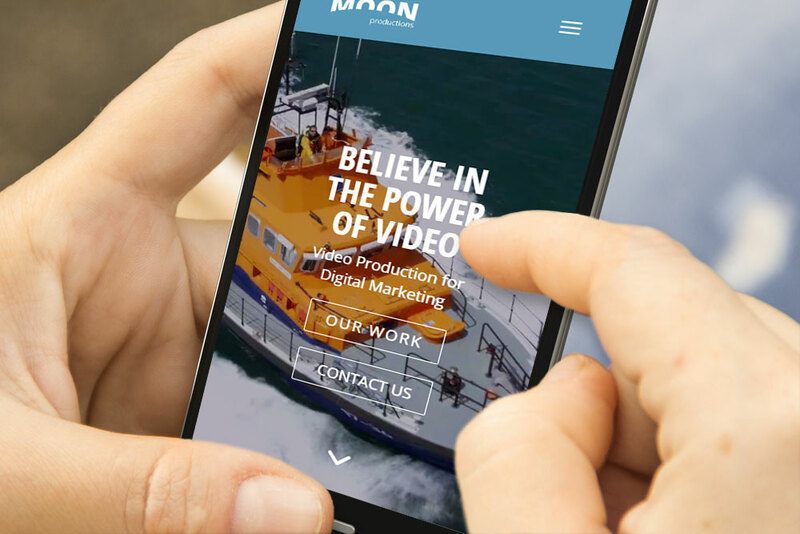 Half Moon productions came to us seeking a fresh, full screen website to promote their video production business. With only a single existing (placeholder) web page and older style branding available, a completely new site and branding re-design was required. This fully responsive site was built on the latest WordPress CMS. The site contains full width pages with both embeded video backgrounds and streaming media. showcasing client work. Great care was taken to ensure that the site functions effectively on even the least capable mobile device, with video content optimised for both desktop and mobile devices. For this project, we also carried out branding and logo design, providing final vector artwork suitable for a variety of uses such as social media icons and print. Inclusive website training ensures that Half Moon staff are able to take ownership of the site and update or add additional content whenever required, while our hosting package takes care of future updates and technical support. Very pleased with website which fulfils the brief. Also good training session on CMS with technical support back up leads to a worry free website.